Was Jesus a historical person? We'll trace and compare existing evidence to modern mythology. The maniacal Harley Quinn emerges ten years after the Joker's capture at the end of The Dark Knight, in search of him, leaving a now war torn caped crusader to combat the wave of death and anarchy she unleashes. Bruce Wayne passes the torch of BATMAN to Terry McGinnis in the futuristic megalopolis, Neo-Gotham. As Terry McGinnis returns to Gotham, he must become Batman to fight the forces of evil, bringing him face-to-face with villains such as The Phantasm and The Black Mask. Spider-Man( who is gravely injured) goes after Goblin, Electro, Vulture and Sandman who are looking to kill him. Spider-Man and his friends go against all of them until Aunt May, Gwen and MJ turn up which puts them in danger. Peter takes them all to safety and Peter finishes off Goblin, Electro, Vulture and Sandman. The Human Torch: [to Sandman] Sand? What are you gonna do? Make my underpants itchy? 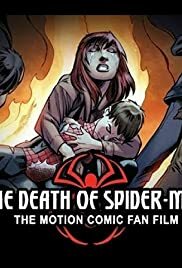 The Death of Spider-Man is a motion comic fan film based on the story of the same name. When you hear fan film it creates images of amateurishness but there is none in display here, credit where credit is due. Spiderman is shot and left in a seriously weakened state and is forced to battle the Green Goblin, Electro, Kraven the Hunter and Sandman. Is this truly his last battle? Very well animated, well paced, the voice cast is solid and the whole thing kicked me in the feels a lot harder than I thought it'd be able to. Spiderman is way down there on my list of favorite Marvel characters but nobody can dispute how iconic he is and the impact of this 20 minute short is devastating. I'm going to blubber soon, everything I've watched today has been sad!